Cast of Cars 3. Courtesy of Disney. The iconic characters are back on the big screen, and this time the stakes are higher than ever. There has been talk in the racing world that Lightning McQueen’s (Owen Wilson) career is facing the last of its glory days as next-generation racer Jackson Storm (Armie Hammer) casually beats him in a race. However, with help from Sally (Bonnie Hunt), Mater (Larry the Cable Guy), and newcomer Cruz Ramirez (Cristela Alonzo) who acts as his trainer, McQueen revs up to prove that No. 95 is still number one on the tracks. The film emphasizes the theme of teamwork. Though Cruz and McQueen’s relationship gets off to a rocky start, they see bits of themselves reflected in each other, and come to realize they also have a lot to learn together. In the film, both Cruz and McQueen take on the mentor and mentee roles with each other. As their friendship blossoms, the two learn how to support each other and work as a team. Cristela Alonzo, the voice behind Cruz, hoped that kids will take away the lesson that anything is possible regardless of gender. Cristela Alonzo. Courtesy of Disney. Alonzo grew up in the Rio Grande valley below the poverty line. “Cars 3” is her message to her hometown to dare to dream big. Alonzo said she will be forever grateful to her fourth grade drama teacher, who switched her schedule because he saw potential in her. Moving to Los Angeles and pursuing acting was a leap of faith for Alonzo, as it was for the rest of the cast. Just like Cruz and McQueen utilize unconventional methods in their training, the cast routinely feels like they approach acting in unconventional ways. “I think acting is a strange career to begin with. I think any process by which we do our job is a little unusual. We’re pretending for a living. It’s not rocket science or construction–it’s pretending. I think it’s a little weird in itself. And I love it,” said Nathan Fillion, who voices businesscar and sponsor Sterling. Director Brian Fee also would not trade his job for anything in the world. According to Fee, it took a lot of trial and error to discover the true storyline and core relationship of the Pixar movie. He wanted everything to relax with the storytelling and let it unfold naturally. Ultimately, he wanted to share his experience in life as a parent with the audience. 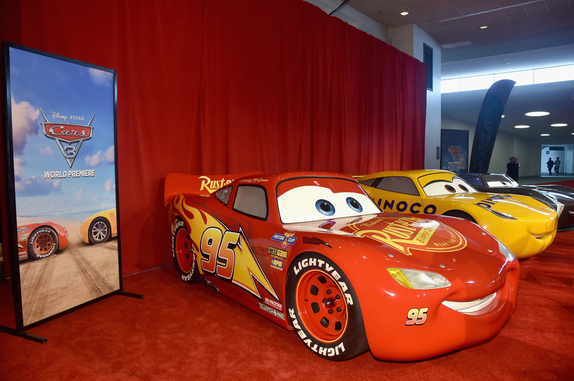 “Cars 3” races into theaters on June 16. I’m just hoping that Cars 3 is as good as “Cars 1” and better than Cars 2 — which, when you look at it via unbiased eyes, was a total bomb. I saw Cars 3 a few weeks ago. Yes, it’s as good as Cars 1. Definitely worth the admission price.